This sweater is mainly characterized by its special wash: This creates an exciting effect in a subtle vintage look. The sweater is made of pure organic cotton, which lies comfortably on the skin. 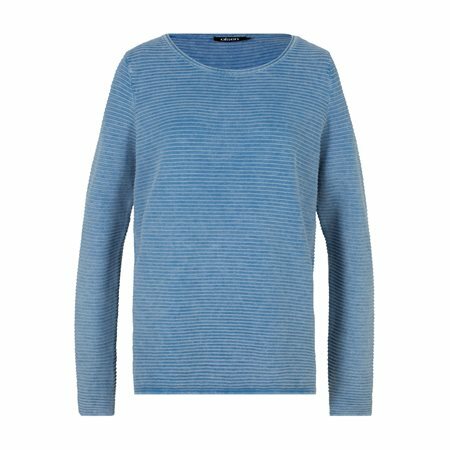 The ottoman knit structure and the rolled, open cuffs on the slightly enlarged round neckline reinforce the sporty character of this sweater, which has the potential to become your favourite companion.